(Peoria, AZ) TheaterWorks offers a night of magic for the whole family in the final installment of the 2018-2019 YouthWorks Series. Disney�s Beauty and the Beast is on stage in the Gyder Theater May 3 through 19 at the Peoria Center for the Performing Arts. 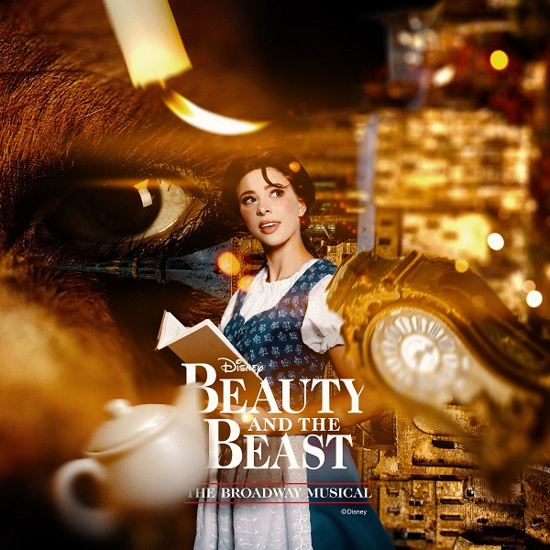 This musical tells the heartwarming tale of Belle, a young woman seeking adventure and escape from a provincial town, and the Beast, a prince who has been cursed by an enchantress. The Beast must learn to love and be loved in return in order to break his spell, but, embarrassed by his terrifying appearance, he has shut himself away from the world while time is quickly running out. Belle encounters the Beast when she goes to his castle to beg for the release of her sick father. Agreeing to trade her freedom for her father�s life, Belle must navigate imprisonment in an enchanted castle, and the Beast must face his biggest fear in order for them to find their happily ever afters. Tickets for Beauty and the Beast are now on sale. General admission tickets are $18 with group discounts available. The production takes place in the Gyder Theater of the Peoria Center for the Performing Arts (10580 N. 83rd Dr. , Peoria, AZ 85345). To purchase tickets or find out more about TheaterWorks, contact the Box Office at (623) 815.7930 or visit www.theaterworks.org. Theater Works at the Peoria Center for the Performing Arts is concluding its 33rd season of providing exceptional theater to the West Valley. Theater Works is a non-profit 501(c)(3) organization whose mission is to provide opportunities for children, patrons and artists to experience theater that inspires, enriches and enlightens through the performing arts. Theater Works acts as the managing tenant for the Peoria Center for the Performing Arts which features more than 200 events a year including: live theater, classical concerts, jazz, popular music, dance, comedy, cultural events, festivals, youth and adult education classes and much more. For more information, call 623.815.7930 or visit www.theaterworks.org.